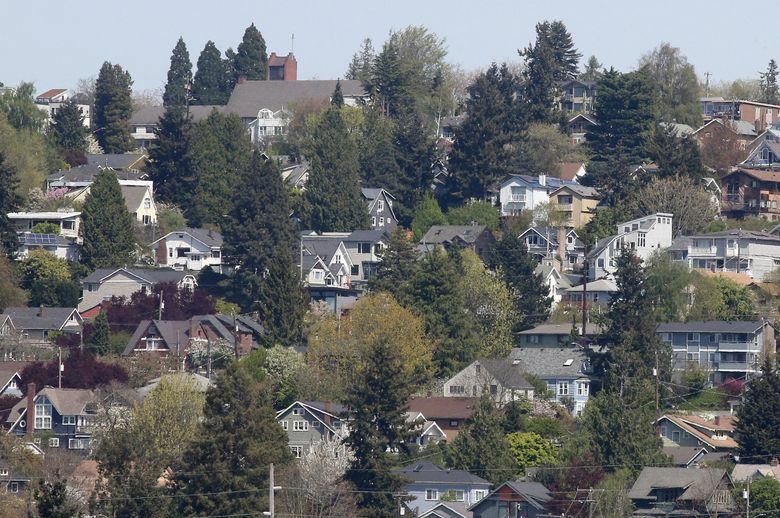 An important real estate forecast knocks Seattle out of the top 10 booming markets. We still rank well, but some risks are also gathering. If you read my colleague Mike Rosenberg, you already know that segments of the Seattle real-estate market are slowing. We have an apartment glut thanks to heavy investment in multifamily housing coming out of the Great Recession. Sales and inventory numbers for homes in King County are back to 2012 levels. Prices are dropping many places after record leaps in recent years. Last week came further evidence: For the first time in about a decade, Seattle wasn’t among the top 10 markets for the coming year in the “Emerging Trends in Real Estate” report by the Urban Land Institute and PricewaterhouseCoopers. Last year, we were No. 1. The report focuses on the Seattle-Bellevue area, setting Tacoma (No. 53) out separately. And it doesn’t directly correlate with livability. Rather, it assesses investment and development trends, and for several years has chronicled the rise of high-quality urban centers. Many people will see this as all good news, a pause from explosive growth that has also been blamed for lower affordability, rising inequality and social ills. I would add that markets go down as well as up, and every swing creates winners and losers. Still, while Seattle’s growth isn’t stopping, going from the equivalent of 90 miles per hour to 50 would be felt, and in some unpleasant ways, too. “Emerging Trends” is the gold standard in real-estate forecasts, based on interviews and surveys of hundreds of leading developers, investors and lenders. It provides a deep analysis of the outlook for residential, retail, office, hotel and industrial properties, as well as the wider economic environment. For next year, the top overall markets according to the ULI study are Dallas-Fort Worth, Brooklyn, Raleigh-Durham, Orlando, Nashville, Austin, Boston, Denver, Charlotte and Tampa-St. Petersburg. At No. 16, Seattle still shows a decent outlook among the 79 markets surveyed. We rank No. 20 in homebuilding prospects. And second, behind Boston, in local market attractiveness for investors. Office demand is expected to continue doing well in the central business district. Seattle’s population is expected to keep growing, next year at twice the national rate. Hard as it is to process, Seattle also gets relatively good marks for housing affordability within the context of the Pacific Coast (Tacoma does even better). Demand remains strong for distribution space, too. The report points to a local economy operating near capacity (e.g. employment) as a constraint on real-estate investment next year. “This is evidenced by the comments from focus group participants in Seattle and Portland that attracting qualified labor is getting more difficult and could be hurting employment growth,” it reads. The unemployment rate for Seattle-Tacoma-Bellevue was 3.6 percent in August. Even so, a pullback in construction would be felt, and not just by speculators. Being the crane capital of America was part of the enormous construction boom during this expansion. It put hundreds of millions of dollars into the city treasury. This has helped finance low-income housing and social services. On the other hand, the economy is never static. Risks abound nationally and internationally, from trade battles and asset bubbles to new vulnerability in the banking sector. Geopolitical instability is rising. So are interest rates. The past week’s wobbly stock market was centered in nervousness about potential inflation — enough at least to cut into profit margins. Popular tech stocks, including Amazon, were among the shares roughed up. Nobody has repealed the business cycle, so this second-longest expansion in modern American history shouldn’t be taken for granted. Seattle specifically has yet to see how a “separate, equal” HQ2 — yet to be announced — will affect it. Those effects could pinball to small-businesses, city tax revenues, vendors and even charitable giving, as well as hiring at the city’s largest employer. The metro area would also be hurt by a stock market correction — not only in terms of lost wealth, but potential job cutbacks by companies in response. But the stomach-knot scenarios might not happen. What we know is that real estate is slowing. This boom has remade Seattle more dramatically than almost any since the Great Fire. It’s been a lightning rod for criticism, and not just from the social-justice warriors. Too many classic Seattle three-story brick apartment buildings have been lost, diminishing lower-rent units for renters. Too many useful commercial buildings have been demolished for towers, annihilating affordable retail space and the human-scale delights of the city. Add in straight-up skyscrapers with no setbacks and little distance between them, plus loss of views toward the Space Needle. I’ve watched these changes over a decade and wondered: Why does this happen in a supposedly progressive city? Some will pour out corruption conspiracy theories. My guess about what happened is a combination of inattention to protection and design standards; addiction to construction fees; loss of imagination among architects, and political division — all happening as this firehose of demand came at us with great suddenness. On the other hand, the real-estate boom has been pretty good to Seattle, and not only in terms of tax revenues. On the commercial side, it’s been driven by demand from some of the top companies offering some of the best jobs. We’re not cursed by the desert of huge surface parking lots or store fronts emptied out by changing consumer patterns and online competition. Speculation is an element in rising housing prices, but demand was the big driver. Real estate and construction are significant employers. In the America as it is, rather than what I might wish it to be, this is a gift horse that shouldn’t require obsessing over its dental work. In the many left-behind localities — places without the bother of an Amazon headquarters — inequality and opportunity are worse than here and future prospects are dim. These include some of the once-greatest American cities. Seattle has been lucky, and made its luck. Now we’ll see whether what’s happening in real estate is a natural downshifting or something more.